As a federal case over foreclosure dragged on for more than three years, a comprehensive property management program restored stakeholders' confidence in the mixed-use project. Among distressed properties, few developments offer a better example of successful turnaround tactics than Perkins Rowe, an upscale retail, office and residential project in Baton Rouge, La., that ran aground nearly five years ago. As the developer and lender battled in court over control of the project, the property management team’s tactics to restore confidence in the property have been essential to efforts to resolve the situation. Rapid deployment of capital, shoring up confidence among stakeholders and an aggressive leasing campaign have stabilized Perkins Rowe, which now appears headed for a foreclosure sale. The thorny court case dates to 2008, when Perkins Rowe L.L.C., an entity controlled by developer J.T. Spinosa, stopped payments on the project’s $170 million construction loan after repaying only $8 million. KeyBank N.A., the lead lender, filed a federal lawsuit in July 2009 that asked the court for permission to foreclose on the property. That month, the court also appointed Jones Lang LaSalle Inc. as the property’s keeper, a role in Louisiana equivalent to receiver. The property management team quickly mobilized to take over day-to-day operations. Leading the agenda was assessing the physical condition of the unfinished asset. Jones Lang LaSalle identified a host of serious construction-related problems ranging from a leaky roof and poorly executed concrete pours to inadequate heating, ventilation and air conditioning equipment. Within 90 days of arriving on site, the property management team had supervised more than $900,000 worth of remedial work. The company quickly reached tenants, vendors, lenders and local public officials to restore the property’s credibility. At the same time, Jones Lang LaSalle embarked on a strategy to improve occupancy in all three of Perkins Rowe’s components. For the 365,555-square-foot retail portion, the leasing team worked to retain existing tenants while adding popular brands like BCBG, FedEx and White House Black Market to the roster. To further improve traffic, Jones Lang LaSalle secured commitments from restaurant chains Applebee’s, Red Mango and Zoe’s Kitchen. The leasing team is now focusing on adding upscale fashion tenants to the center. 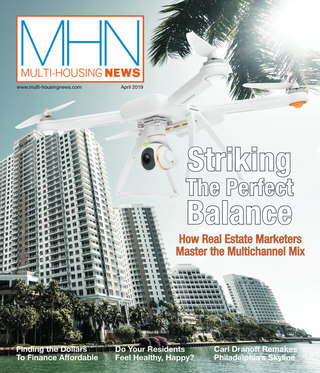 On the office and residential sides, leasing is making similar progress. Of the property’s 143,000 square feet of office space, about 87,000 square feet have been leased. And consultants hired by Jones Lang LaSalle brought occupancy in 138 completed residential units from 44 percent to 100 percent in the first year after the receivership appointment. Meanwhile, an end to the protracted legal case appears to be in sight. A court ruling in September agreed with the bank’s argument that Spinosa owes $202 million in unpaid debt and interest. In late January, the lender requested court permission to schedule the foreclosure sale of the property after prevailing in a series of rulings. The most recent evaluation by Cushman & Wakefield Inc. places Perkins Rowe’s value at $96 million. 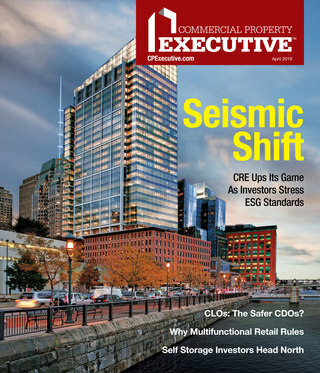 This case study accompanies “Turnaround Tactics,” a discussion of how to revive distressed properties appearing in the February 2013 issue of Commercial Property Executive.